Home 2017 May 16 Would You Say He’s Racist? Many people can agree that The Adventures of Huckleberry Finn covers some heavy topics, and it’s very upfront about it. One of these controversial subjects is equality and racism. Mark Twain writes using realism, so he portrays characters and personality the way they would really be back in the 1830s-40s. Reading this book in 2017, we can start to hypothesize what mindset Twain had. Was he racist or not? My personal opinion is that Twain was not racist; he just called it like he saw it. Because this book is supposed to paint picture of the life Jim and Huck had, Twain had to include strong language. His diction is very deliberate in that he doesn’t throw in profanities or derogatory terms if they don’t help to paint the picture of life of a runaway slave. I also believe that the fact that Mark Twain even wrote a novel that sheds light on Jim’s hardships vouch for him not being racist. Human nature makes us ignore what we don’t believe. I truly think that if Mark Twain was racist, he wouldn’t have written something that makes his audience sympathize with Jim. He also finds ways to humanize Jim in a way that someone who saw African Americans as property couldn’t do. Twain brings up the fact that Jim has a family, which makes you feel bad that they were separated, “He was thinking about his wife and his children, away up yonder, and he was low and homesick; because he hadn’t ever been away from home before in his life; and I do believe he cared just as much for his people as white folks does for their’n (pg 158).” If Twain was actually racist, why would he care to add a background story or give Jim any humanizing qualities? I don’t feel that Mark Twain was racist because he used some derogatory language. I think he actually helped shed light on the problem our country faced and still faces by making it so apparent. Would You Say He’s Racist? by Sejal is licensed under a Creative Commons Attribution-ShareAlike 4.0 International License. This is an amazing post. I’m really excited to read Huckleberry Finn in my American Literature class. Great post! I love how you pulled in that direct quote and embedded it so flawlessly into your argument. Your view that Mark Twain was not racist is one that many people would agree on, including me! The part where you discuss that Twain gave Jim characteristics that he wouldn’t have if he’s racist, is solid evidence. Nice job! Hi Sejal, I found this piece very well written and interesting. I personally agree with you that Twain was not racist, but rather trying to shed light on racism in the south. I really like the point you made that if Twain really was racist he wouldn’t be trying to humanize Jim or bring up the issue of racism in his writing. The fact that the audience of the book, as well as Huck, feel for Jim and see good characteristics in him proves this point. However, I wonder if you think he did this in the best way possible. Do you think his use of satire and slyly working racism into the framework of the novel was the right thing to do, or should he have more out-rightly spoken out against racism and discrimination. I would love to hear your thoughts on this matter. Amazing job with your writing and keep up the good work! I completely agree with everything you brought up. This was also was a great piece that I really enjoyed reading! 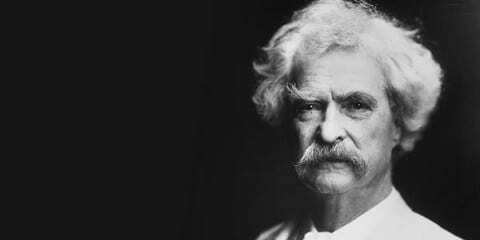 In my opinion Mark Twain wasn’t being racist in the book “Huckleberry Finn.” He may have came off that way to some but I don’t think that was his intention. I feel he was just trying to capture how it was back then and how people viewed everything. It defiantly was a different perspective, but it also was a different time period with different society norms. Twain just as you said called it how it was. He talked about how life was. I think he was just trying to show how both Huck and Jim were trying to become free, that it’s okay to be different. So overall I agree with everything you said, Mark Twain isn’t a racist. This was a very well thought out piece and all of the points are very valid. Hi Sejal, really good job writing this! We both chose the same subject to write about, so I very obviously have many opinions about this topic, too. I agree with your point of Mark Twain not being racist, and you bring up some very good points. Mark Twain was known for realism, and in realism comes local dialect. Would you agree that Mark Twain used the local dialect in a graceful and non racist manner instead of slightly racist way? I would have to say that he did it in what I would consider a tasteful way. It would be hard to be a realist writer because of the fact that it is never known as to how his use of local dialectic will be received by the general audience.